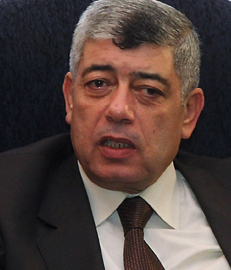 Morsi appointed Ibrahim as minister of interior in the aftermath of the constitutional referendum of December 2012. Prior to the referendum, protests against Morsi had spiraled into violent clashes between his supporters and opponents, in which security forces frequently did little to intervene. Morsi responded by shuffling his cabinet in January 2013, including promoting Ibrahim and charging him with quelling the dissent. There was no further major political violence under Morsi, until the protests of June 30; however, dissent within the Interior Ministry grew, as groups of officers refused to protect Morsi or otherwise suppress unrest. The ministry was noticeably absent during the protests of June 30-July 3, and when a transitional government was announced, Ibrahim remained Minister of Interior. Ibrahim has overseen a crackdown on the Muslim Brotherhood since Morsi’s removal from office. His forces have been responsible for the worst of the atrocities committed against the Brotherhood, including the dispersal of protest camps in Rabaa al-Adawiya and Nahda Squares in August 2013. Human Rights Watch said that Ibrahim should be investigated, along with other Egyptian officials, for his role in breaking up the demonstrations, as their actions likely amounted to crimes against humanity. Since the dispersals, the police have been frequent targets of terrorist activity, with officers killed everywhere from conflict zones to traffic duty in Cairo to rural police checkpoints. Ibrahim himself was the target of a September 2013 assassination attempt, when a car bomb exploded as his motorcade traveled through the Cairo suburb of Nasr City. Ibrahim was unharmed, though more than twenty people, both policemen and civilians, were injured. Ibrahim has blamed the terror attacks on the Muslim Brotherhood and Hamas, and has at times presented information to that effect, including confessions. In May 2014, Ibrahim claimed at a press conference that the Ministry of Interior had uncovered forty terror cells since April. As terror attacks persisted throughout 2014 and into 2015, police met even peaceful protesters with increasing force. Several protests in late 2014 were broken up forcefully, and in January 2015, protester Shaimaa el-Sabbagh was shot dead while attempting to lay a wreath in honor of the victims of the 2011 uprising. Images of her death provoked public anger against the ministry. Ibrahim was relieved of his duties in March 2015, as part of a cabinet shakeup, but was officially retained as a presidential adviser. He was succeeded by Magdy Abdel Ghaffar.